Click here to get my recipe for Comeback Sauce to serve with these! This was one of my mom’s weekly dishes growing up. They are so good! Our friends would hear we were having chicken planks and conspicuously hang around our house until Mama called us in for supper so they could secure an invite. After all, aren’t Southerners known for their fried chicken? The taste and texture of this dish are so amazing, you’d never know the ingredients were so few and so simple. We were eating these in our family long before chicken fingers made it onto the menu at restaurants and before chicken nuggets were even thought of (Happy Meals were hamburger or cheeseburger back in “the day”). I remember we went to a restaurant once and my dad actually asked the waitress what a chicken finger was. He said “I didn’t know chickens had fingers!”. We were all very young and thought our dad was hilarious. Give these a try, I guarantee they will knock your socks off and blow other chicken fingers out of the water! Ingredients are simple: Saltine crackers, oil, eggs, and chicken. Please don’t get low salt or no salt crackers, just trust me on this. Crush a sleeve of crackers and put half of them in the bowl, reserving the other half. Pour about 1/4 inch of oil in the bottom of a skillet and let it heat up over medium heat. Place chicken breasts inside two ziplock bags and beat out thin with the blunt end of a meat tenderizer or mallet. I use two ziplock bags because one usually ends up splitting open in the course of my beating. I guess I have a lot of untapped aggression :). They will be nice and flat and thin, about 1/4 of an inch. I wonder if I can use that measurement one more time in this tutorial…keep your eyes open, I am setting it up as a personal challenge. Crack eggs into bowl and beat them well. I swear I sing Michael Jackson in my head every time I beat eggs. Cut each chicken breast into three strips. Set up an assembly line of the three ingredients: Chicken, eggs, cracker crumbs. Dip each strip into your egg mixture, on both sides. Then press each side into cracker mixture. Drop into hot oil. I cook mine on a medium to medium high heat. I like to use a heavy skillet for this. The thickness of my skillet isn’t quite 1/4 of an inch though (snickers). After you do several pieces, your cracker crumbs will start to get gunky. “Gunky” is a highly technical culinary term which I learned whilst acquiring my $40,000 degree in home economics. You may not have used that term until now because you were not properly educated on its meaning. However, as a reader of Southern Plate, you are now qualified to incorporate it into your daily vocabulary. Your friends will be impressed, so you must make chicken planks A.S.A.P. in order to have your first opportunity to utilize this colorful term. Can you tell I’m tired? Okay, so your cracker crumbs will start to get gunky after you use them a bit, this is where you will take the crumbs you had set aside and dump them into your bowl. Just put them right on top of your old crumbs if you like, then continue breading your chicken and putting it in the oil. Now lets start a trend. Use gunky in your conversation this week. If enough of us do it, I bet they’ll start using it on the Food Network! When they get nice and browned on both sides they are done. Remove from the pan and place on paper towel lined plate. Submitted by Wanda. Share your quote by clicking here. If you enjoyed this post, please share it with a friend! I’d love to have you subscribe by email, too, if you like. I send out an email each time I post a new recipe! Ok Christy this is definitly a Carson meal. I must try this. 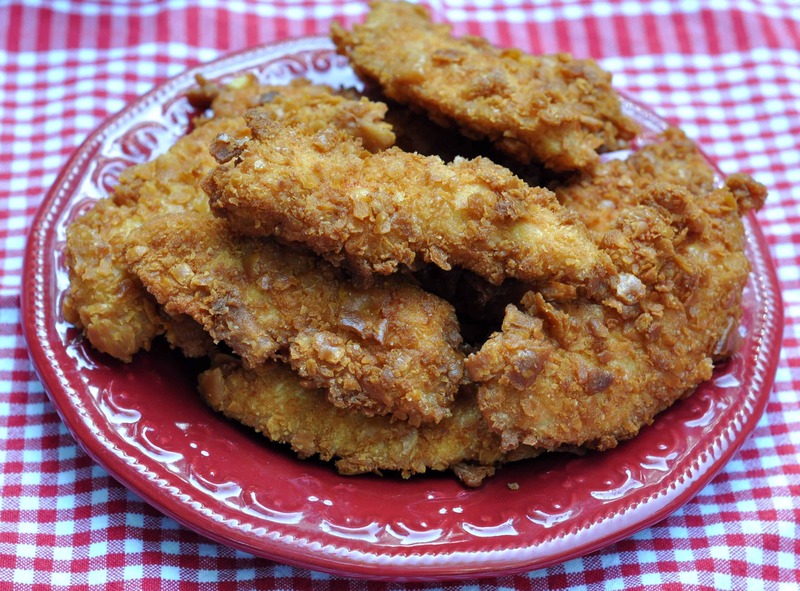 He loves chicken fingers prepared the in a similar way with flour and salt and pepper. I am going to try this maybe next week. They turned out so pretty and golden brown. And your right mac and cheese has to go with this. Looks tasty! I know my 3-yr-old would eat this! Yes, she did! “skillet isn’t quite 1/4″ thick” Can’t wait to try these on my grandsons!! HAHAHA! Christy you are such a hoot and I am so glad that I have the go ahead to use the term gunky out loud now! LOL *shhhhhhhh* I have secretly used it in the past… LOLOL! I DEFINATELY will be giving this one a try not only with my 3 year old grandson but maybe even tonight with my hubby! Have a great day! Looks like a recipe I’ll have to try! Looks great! I do mine almost the same..however I sometimes use Ritz Crackers! They are really really good, sooooooooooo good. Hope you enjoy them! I always enjoy hearing from you! Tina: Let me know how you like it! thank you for taking the time to read! I LOVE Ritz! Ritz crackers are kind of like sweetened condensed milk, anything with that in the recipe just has to be good! Thank you for the idea, I am going to use that next time I’m out of saltines! I do ritz crackers dipped in butter first (not egg,) or dip in ranch dressing then ritz crackers. Also bake instead of fry. Very good. Hi Sarah. Love the variation you suggest. Bake it at 350*? 400*? For how long? I made these for dinner last night and we all loved them. You could see the surprise on my older son’s face as he told me how good they were. He was definitely suspicious about chicken fingers that didn’t come from a drive through window! 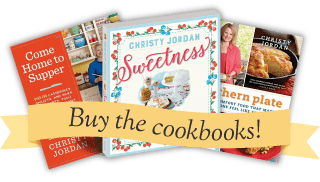 Thanks – I just found your blog Sunday and I LOVE the recipes!! That’s what I LOVE about Southern cooking. . . it’s sometimes the simplest recipes that are the best. AND the ones you remember the most. Tammy: WOW, you’re fast! I read your comment first thing this morning and it was such a great start to my day! I am so thrilled you tried them AND liked them! Impressing a teenager (assuming teen when you said “older son”) is never an easy thing to do! I feel like a miracle worker now! Welcome to Southern Plate! Please do come back often and let me know if you ever have any questions or special requests! Yellow Jeep: That is one of my favorite things about southern cooking too. A recipe doesn’t have to read like a novel to be good! I love simple foods, I swear they often have the most flavor! Hey Christy! We had these for dinner the other night and my husband and I both LOVED them!!! He kept asking me what I coated the chicken in… I laughed and told him that if I told him I would have to kill him! LOL But I finally gave in! I hope that you have a good day! Treva! I’m so glad y’all liked them! Isn’t that amazing how saltines can turn out such good chicken? My husband was clueless the first time I made them too, but I gave in as well! Not like they’ll ever make them themselves or anything but still….inquiring minds and all that! I just love these chicken fingers. They are so tender and the breading is just yummmmm! Thank you for letting me know how they turned out!! Can’t wait to try these.. my sister says they are delicious! Thanks for having such easy to follow tutorials!! This is so funny – it’s like a recipe I make a lot but I use crushed Ritz crackers! I also stir in some grated parmesan cheese, onion powder, and pepper, and the breading really is flavorful. I don’t usually pound the chicken flat though – great idea. Terri: thank YOU for reading my tutorials!!! Dee: That is a great idea! I bet yours are yummmmmmmy! You’re the second person who says they use Ritz crackers, I am going to have to try that very soon! I tried this off another website a year or so ago. It wasn’t exactly the same but forgive me, I didn’t know you existed lol. The chicken comes out very tender and juicy. I made so many chicken dishes, my dad got sick of it and wouldn’t eat it. I made it again but I told him it was pork, he ate it right up. 80 year olds can be just like 3 year olds.. they make ya laugh! LOL! Your poor dad, but convenient for you! Hey, at least it was the same recipe AND you liked it!!! You know I require my greatest devotees to not only read my site but to love my recipes as well!!! Belle-Dragon: I’d give you some of mine if I could!!! Hope your luck goes better today! Welcome to Southern Plate! I just had to tell you that I did your chicken planks last nite and it was a hit!! They are going to definately be a staple in this house. I’m fixin to try to do some banana bread while nobody’s home, I’ll let you know how they turn out. I wanted to ask you a few questions. My Gran used to make what we called chocolate-covered peanut butter balls but have found out some call ’em buck-eyes. My question is, she used parafin wax with the chocolate, what could I use that would have the same result without using the wax? Also, one of my step-dads (I have 4) used to make a chicken casserole that had brocolli, cheese, i believe some cream of mushroom soup and maybe rice. I believe the cheese was on top and not mixed in, that’s where the soup came in. Do you have any idea what that may have been? I just remember it was really good and he’s the only one to ever make it. I’m planning on getting your cookbook, so I’ll wait to get that before I make a list of requests. I was raised by a single father and we lived like bachelors, microwave food or eat out and when I stayed with my mother I was run out of the kitchen because she cooked and I cleaned(her rule, so I guess if I helped cook she’d have to clean). I was never really taught how to cook so food that is good(southern..wink) that tastes good (don’t want to subject the family to any torture)and simple(limited experience) is welcome. You don’t know how much you’ve helped expand my menu. It’s really addictive to hear my honey and the kids say how much they enjoyed it, especially since the youngest is so finiky and she asks for more. I make the buckeyes and just omit the paraffin wax…they still taste quite good! Hey Cookie! Thank you for the GREAT questions! I’m going to add these to my next Southern Plate newsletter, if you don’t mind! A great substitute for paraffin in a recipe is to simply use solid vegetable shortening (ie Crisco). That is what I have always used when a recipe called for Paraffin. Unlike Paraffin, it can actually be digested, too! when you first mentioned a chicken, broccoli, and cheese casserole, my mom’s immediately popped into mind. It sounds slightly different from what you are describing but I still think we may have a winner since you were younger when you last had it. I’ll do a tutorial on it soon! I will also look into getting the recipe for one more closely to what you described, although I think my mom’s might be the dead ringer. Oh Cookie! You don’t know how happy it makes me to hear that you and your family are enjoying the recipes! When I get back from Disney, I’m going to focus on getting some more one dish meals and casseroles up! In the meantime, if you need anything specific, feel free to email me! I won’t be answering emails between Sept 12-20, because I’ll be frolicking with Mickey Mouse!!! Hey Christy! I want to go to Disney too! Are you going to do a how to survive at Disney post? I think I really need it! Hey Christy, I made these tonight and they were great. The kids really enjoyed them. These are better than any I’ve ever had. Oh, Katie thought it was funny calling them chicken planks. That’s a five year old for you. “GUNKY!! !” Great term and well worth the education to get that one. Sort of like – “eeeuuuuwwww” which i got with my education. HeeHee. BTW planks look good too. I too grew up with these chicken planks. Mama fixed them on a regular basis and they dissapeared fast! I fixed them for my son and now for my grandkids. Look forward to your recipes because its like my mama and grandmama are here cooking all over again..Keep them coming!! “Gunk” is also the name of the “stuff” that you hae to skim off the top of the water and sides of pot when you are boiling a chicken for stew or dumplings. Goat stew is sure nuff GUNKY! I wonder how many readers are country enough to know that!!?!! I have made something similar to this, but instead of crackers, I use home made version of Italian Bread Crumbs with a bit of grated asiago cheese sprinkled over the top just after removing from the pan…. Then serve with mashed taters and counry gravy… I get the vapors just thinking about it. i remember my mom making these when i was a kid- we just didnt have the term ‘chicken strips’ then. question, dad is on lofat diet- can these be BAKED?